No plots shall be used for any purpose other than as a place of burial for the human dead. · Charges for plot openings will be as arranged at the time of need, charges for the services must be paid in full prior to burial in the Cemetery. Plots are not considered reserved until the purchase price is paid in full. Only grass markers will be permitted on plots. In no instance shall a marker extend into an aisle. Funerals and Internments – Vaults or concrete boxes are required for burial. Wooden boxes are strictly prohibited. Ossuary will only be used for the holding of human cremains. The Ossuary purchase must be paid in full before the internment of any cremations. The Memorial Plaque purchase must be paid in full before a plaque can be ordered. At the end of each month an order form is shipped out for the Black Granite Plaques with engraving information. Once plaques are received, they will be promptly mounted on the Memorial Wall as weather permits. An updated notice is sent to the buyer of the memorial space once their space is complete with the plaque installed as well as an attached photograph of the completed Space. 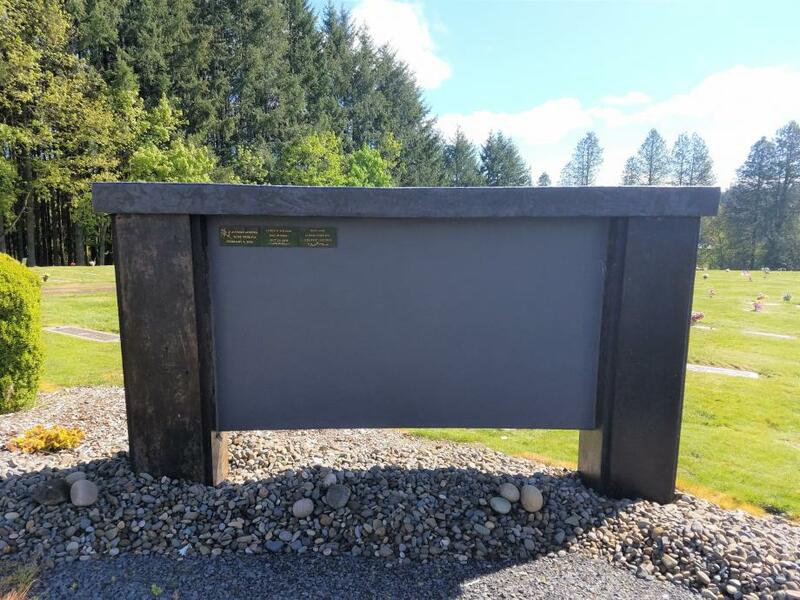 · The estimated time frame from purchase of a Memorial Plaque to the received completed Plaque is two months. · A collection of images are available in the Cemetery Office. As well, custom made images are allowed, but must be authorized first.